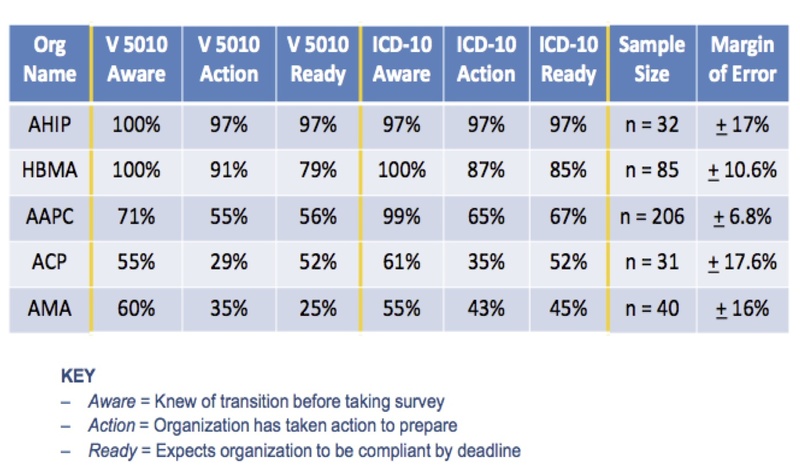 ICD-10 To Be Delayed Indefinitely – Never Mind! After years of telling us they are serious this time and everyone in the health care system had better be ready on time to implement the new disease coding system, CMS said today the whole project is going to be delayed indefinitely. The new ICD-10 system requires payers and providers to convert from the old system of 13,000 codes to the new system of 68,000 codes. Fine, but that has not been the message for months now and lots of people have spent lots of money for apparently no good reason. The concerns that particularly physicians would not be ready on time have not been minor. CMS conducted a survey between January and March of 2011 that clearly showed there were big problems ahead. But in the year since that survey, they continued to tell stakeholders to keep going ahead full speed, spending big money to be ready. But in the last few weeks, the American Medical Association has been sounding the alarm–their people wouldn’t be ready. Sounds like the lowest common denominator in the health care system wins out. Here are the results from a survey CMS conducted from January to March of 2011 by type of industry participant. AHIP is the insurance industry trade association, HBMA and AAPC are associations of industry coding and billing providers, ACP is the American College of Physicians and the AMA is the American Medical Association. The survey also measured readiness for the Version 5100 standards for electronic health transactions that were effective in January 2012, but for which enforcement has been delayed until March 31, 2012. It was obvious a year ago that the docs (ACP and AMA) weren’t going to be ready yet CMS kept telling everyone to keep spending big money on all of this. Well, as long as they are delaying it, how hard would it be to add an “R” to the end of codes when it’s a rule-out diagnosis? Someone comes into the office who’s 50 overweight, etc. The doc tests for diabetes. If the patient has diabetes they get coded (in the ICD9s) 250. if the patient has NO diabetes, they get coded 250. This hugely complicates many people’s lives, especially in a move to ACOs or PCMH’s where knowing how many diabetes one has is critical, and where testing is encouraged.